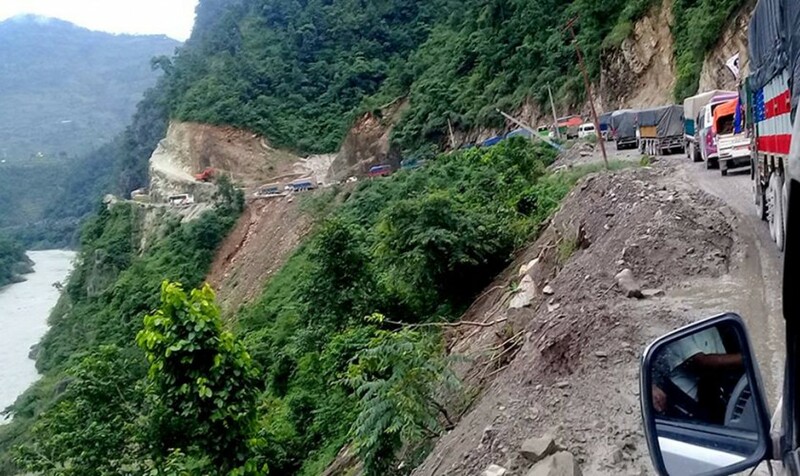 Chitwan –The Narayangadh – Muglin road section has been opened for one-way traffic after a landslide blocked the road at Jugedi of Bharatpur Metropolitan City-29, police said. The landslip occurred at 11.50 am today. Efforts are underway to remove the landslide debris and open the road for two-way vehicular movement, it is stated.